Upon learning about the ongoing hacker leaks from Sony and reading about what those emails entailed, I initially posted some excerpts here at FF last evening. But about half an hour later, I removed it because it just felt like I was aiding in distributing private communications that were never meant for public viewing. I did isolate the bits that referenced Michael Fassbender, and it was all complimentary business discussions, but still, as intriguing as the emails were, it felt sordid in having that stuff posted here at Fassinating Fassbender. 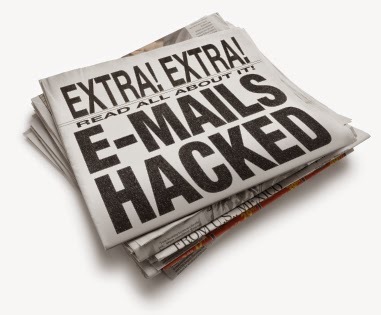 By now, many of you have read some articles on the hacked email saga, but the Defamer has the most detailed accounts. Right now, the only thing that is confirmed about the Steve Jobs bio-pic is that Universal is the studio that owns it, and that Michael Fassbender is the current actor tagged to portray Jobs. There is still no official word from his camp to confirm that he has accepted the role. The other thing that has me scratching my head is the timeline of when this is all suppose to occur. As busy as Michael Fassbender has been in the past 18 months, he will have a very, very busy 2015 with four films being released this year: Slow West, Trespass Against Us, MacBeth, and The Light Between Oceans. On top of that, he has to start filming the next X-Men film in Canada starting in April, and then after that, start working on Prometheus 2. And don't get me started on when the hell that Malik film is coming out, and another don't get me started, is the Assassin's Creed project. As much as we love and support Michael, and are excited to see every film he's in, I don't know how he can squeeze in the demands of the Steve Jobs film into his busy schedule, unless they start filming in January and be completed before he starts working on X-Men. One interesting thing that I did learn from reading those Sony emails was that one of the reasons why Christian Bale left the project because the Jobs material was so damn heavy, that he couldn't properly research the man to do the role the justice that we all know Bale is capable of. Also, Sony, and now Universal, have very, VERY high hopes for the Jobs film to be an Oscar contender, with a strategically placed release date in December 2015. As one of the emails proclaimed, the Jobs movie is a star making role and has Oscar written all over it. For such a mountain of burden and expectations on an actor's shoulders, is Michael Fassbender really the guy for this role, and is he 110% committed to do what he does best for this role and not be burned out by all the crazy Hollywood games that are taking place pre-production? There is so much hype on this film now that I feel like it's being set up to fail. If Michael does play Steve Jobs and if this film does not live up to the quality of the talent associated with it, it could be an embarrassing flop. One would only need to reference these hacked Sony emails as an omen to the eventual outcome of this film. I'm going to take a step back and just watch how the rest of this Sony/Universal/Steve Jobs project unfolds. We'll know soon enough if Michael Fassbender has indeed signed a contract to be the lead actor in this career defining role! Wow. I can't imagine anyone in my workplace behaving in this manner, communicating in email in this manner, and still keeping their jobs. Is there no professionalism in this industry? I would expect drama from some people but others would be more adult, I would hope. If my email from my work account were leaked, I wouldn't be embarrassed one bit. A lesson for them, I think.